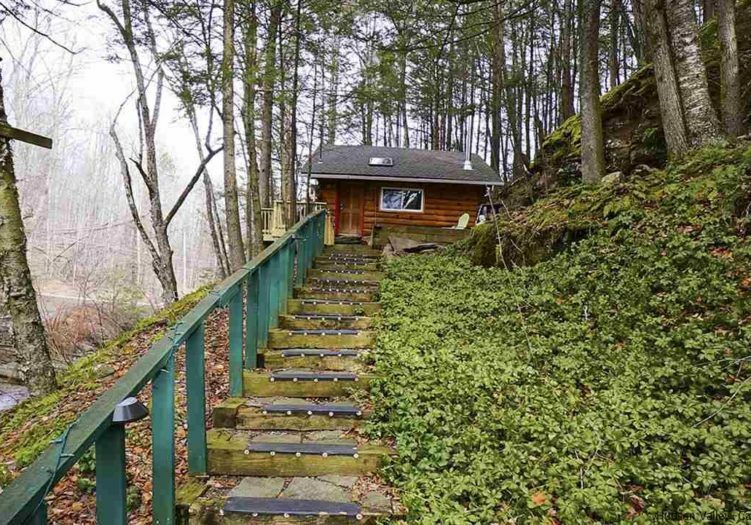 81 Pantherkill is Back and better than ever = PK 2.0. 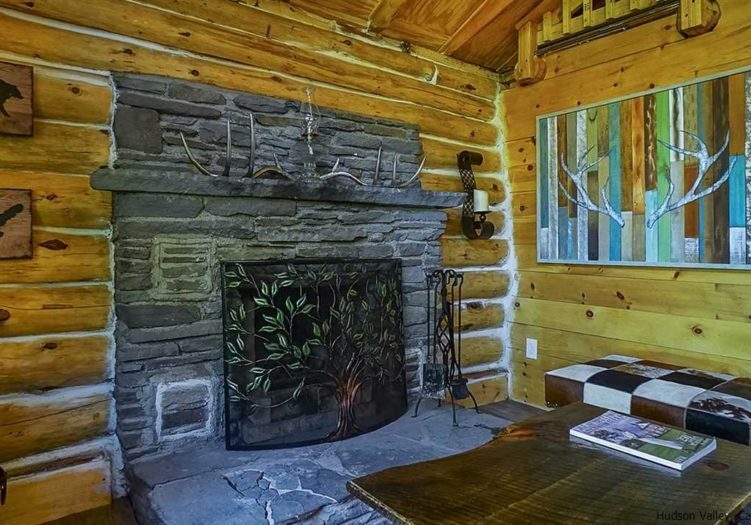 This property just underwent another complete re-fit with too many upgrades to list. 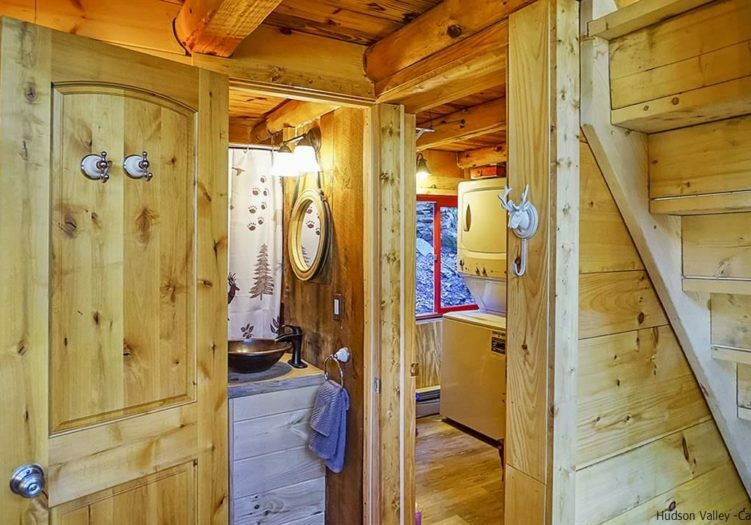 It is an absolute AirBnB Machine, and due to low carrying costs is very profitable. 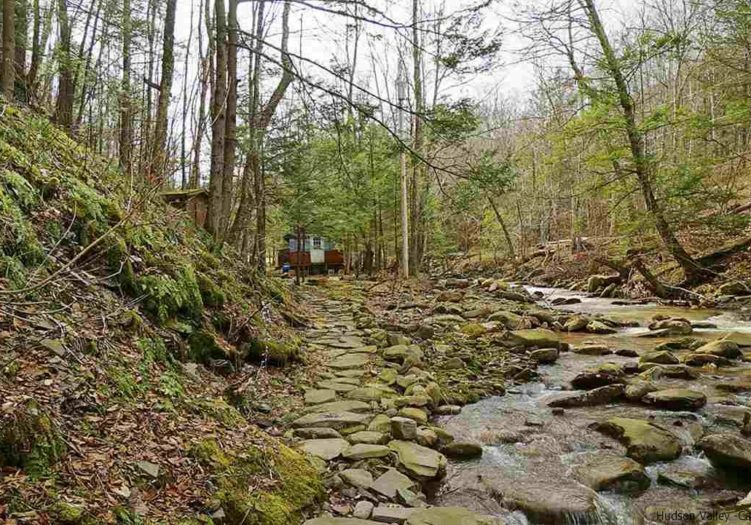 Trade the sounds of the city for the sounds of nature and the rushing Pantherkill Stream. 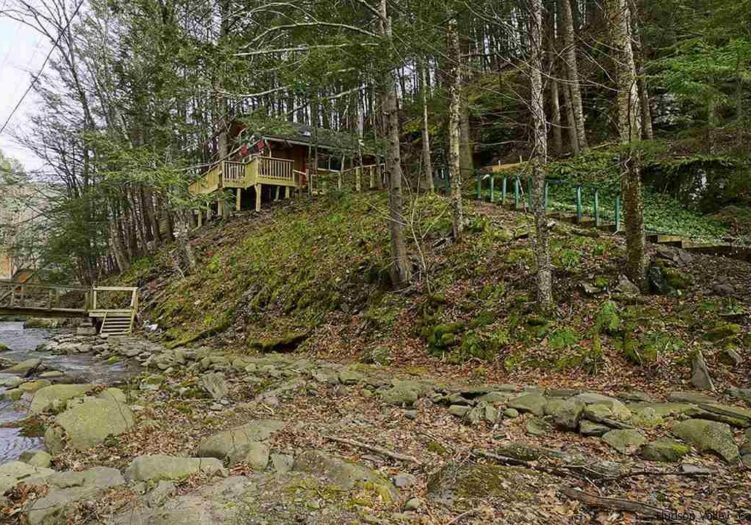 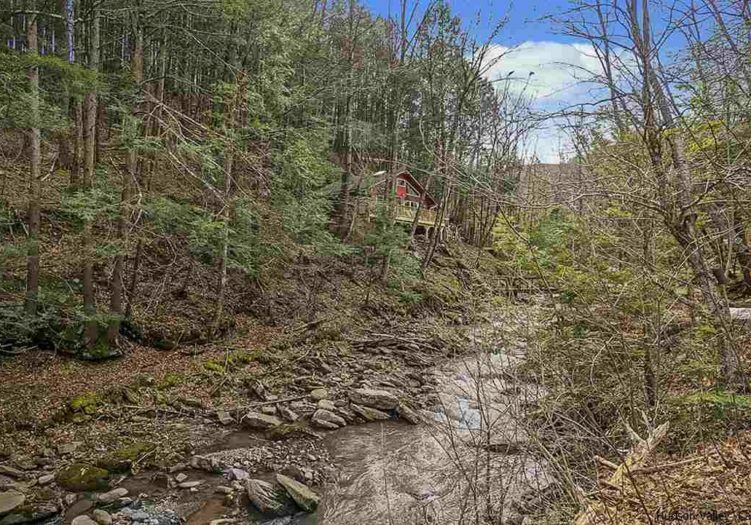 This true log cabin is accessed by crossing a footbridge, and is perched among rock outcroppings, and mature trees. 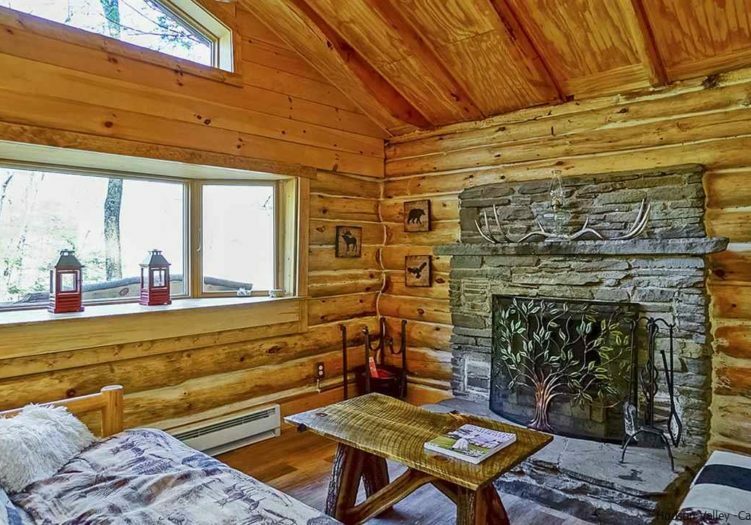 So well located you won't be at a loss for 4 seasons of outdoor activities, unless of course you decide to do nothing at all but kick back. 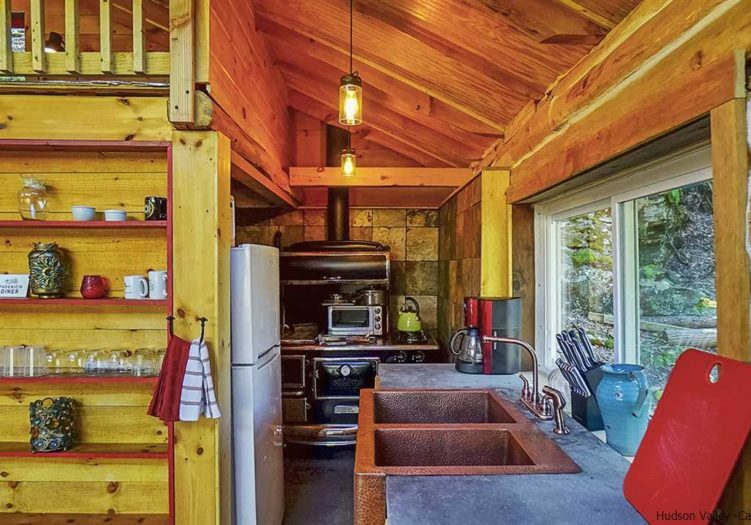 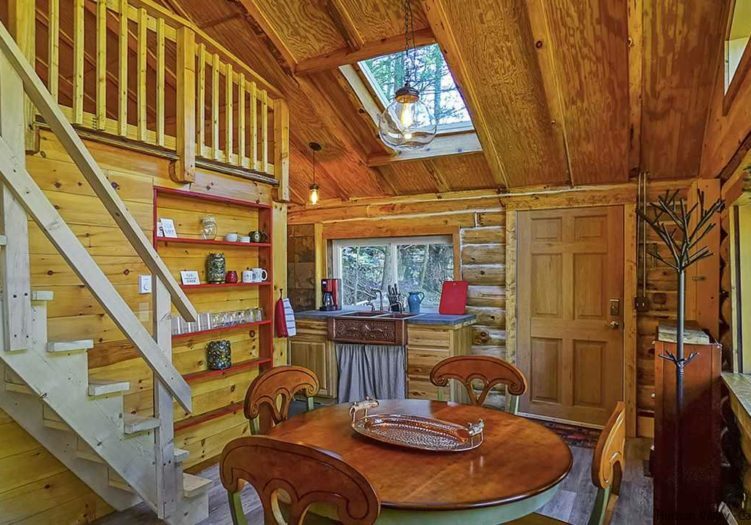 Completely renovated, this cabin has been restored literally log by log. 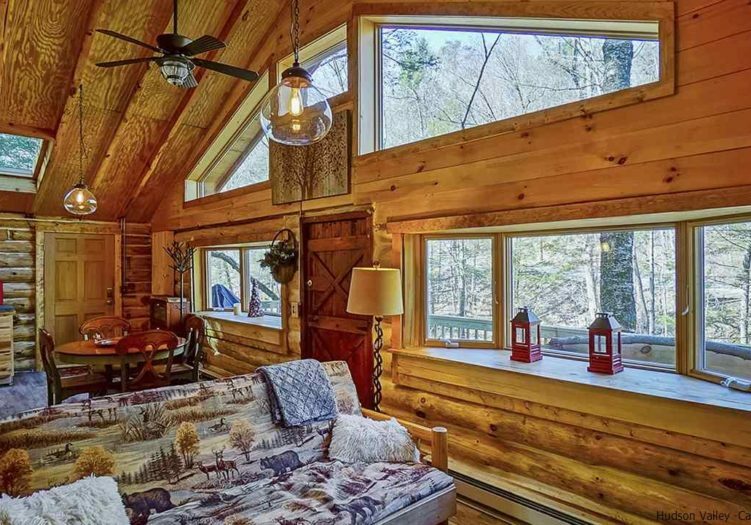 Sprayed-in insulation, and a double insulated roof makes this home extremely energy efficient and with its windows closed you can barely hear the rushing stream go by. 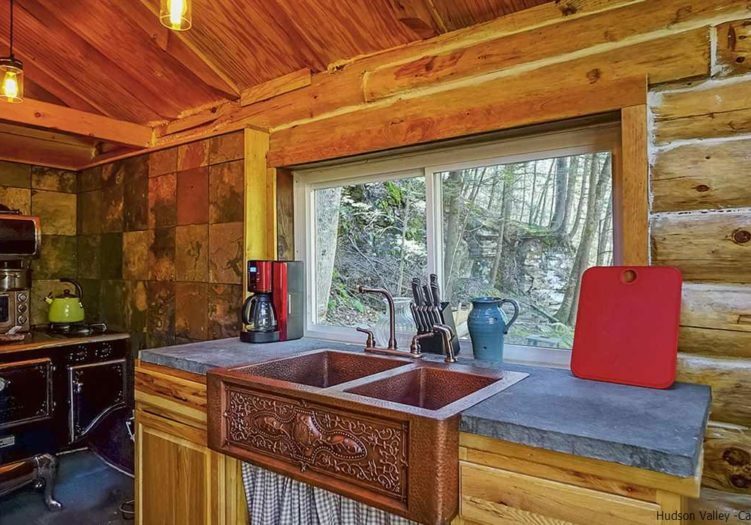 New electric and a well appointed kitchen with a stove capable of running off propane or wood assures you of not investing money for years to come. 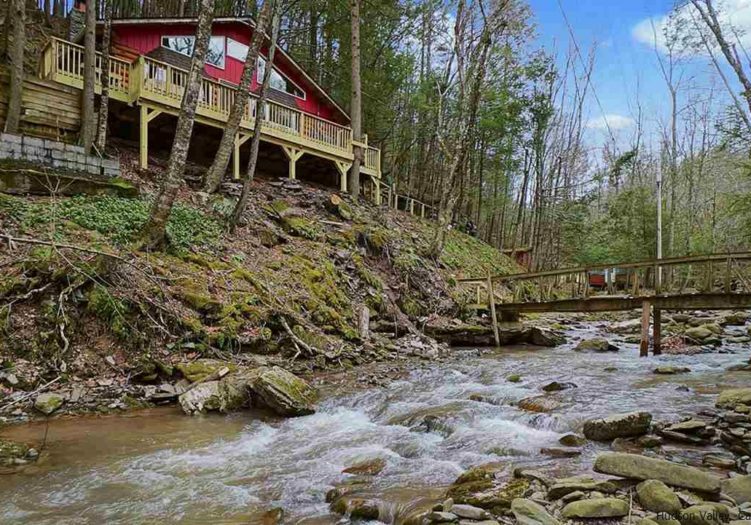 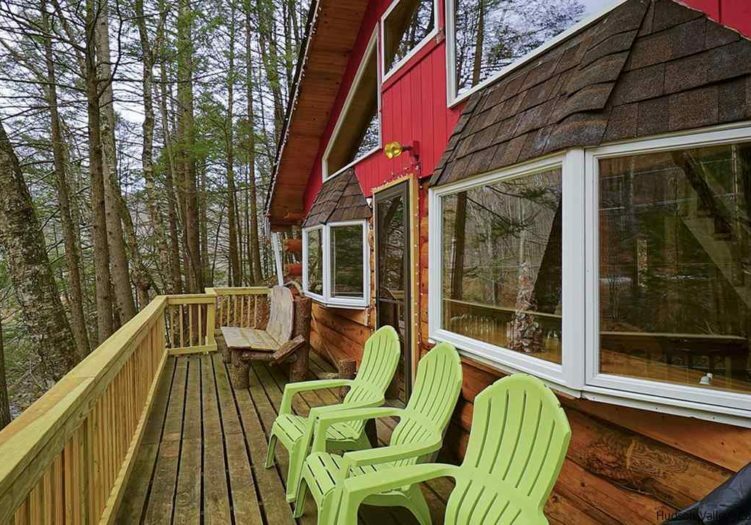 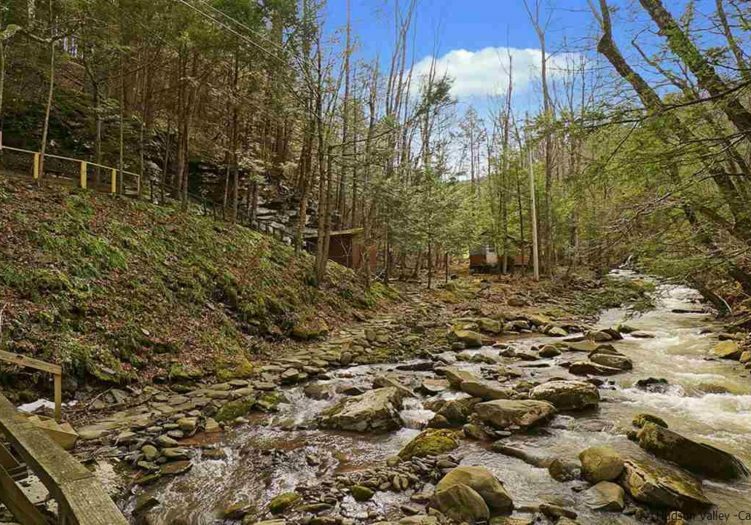 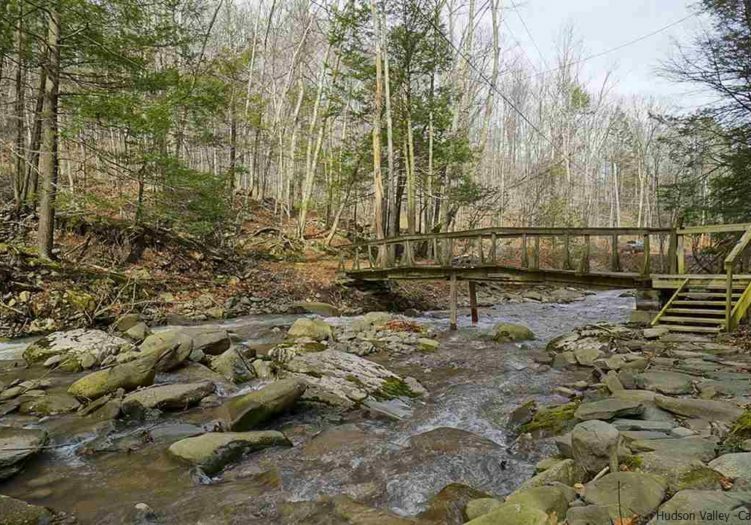 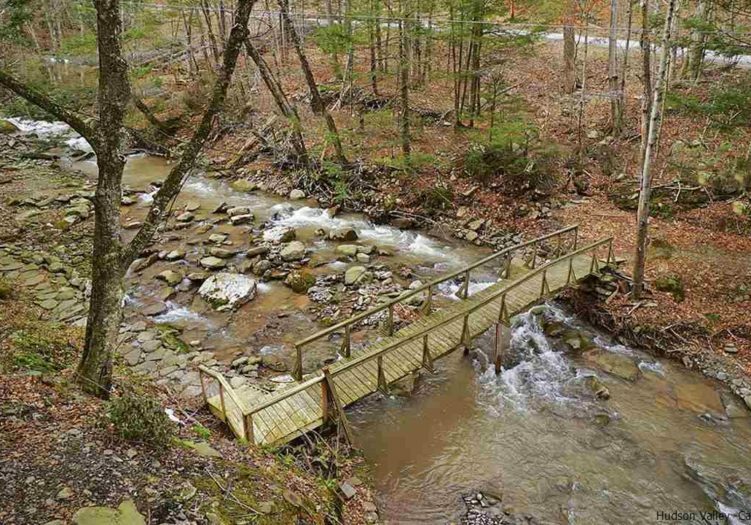 Located just outside the trendy town of Phoenicia, close to Woodstock and the area's ski resorts, hiking and biking trails as well the Esopus Creek for tubing, swimming, and fishing. 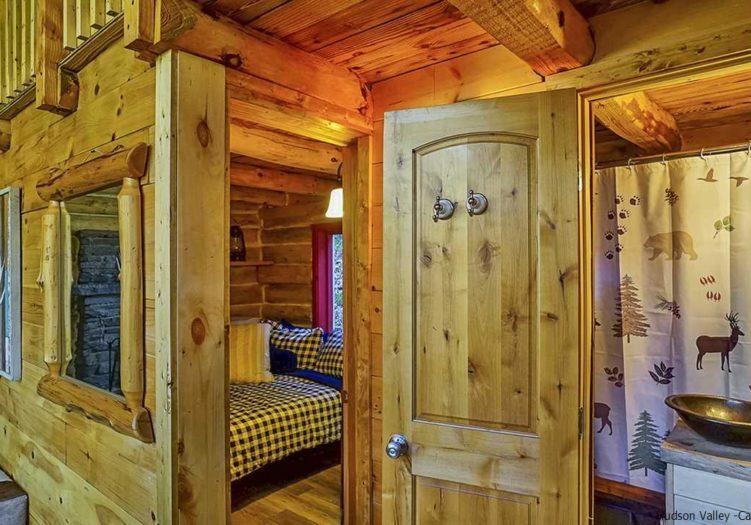 There is an additional room not pictured which can function as a third sleeping quarters. 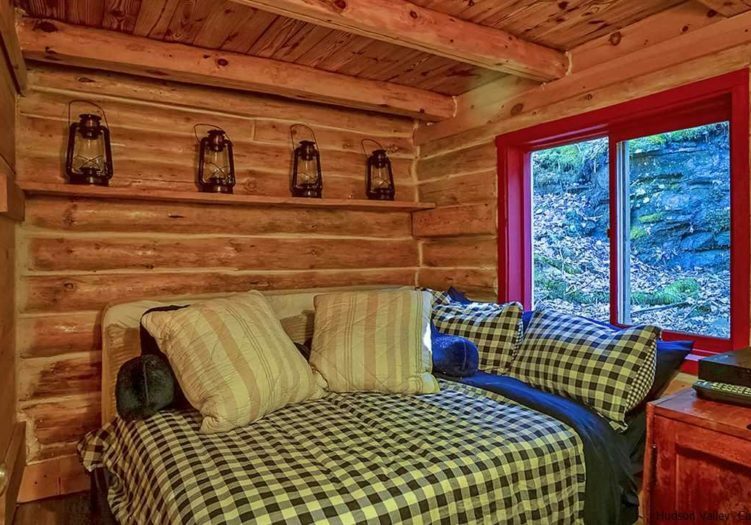 This property is as profitable as it is peaceful. 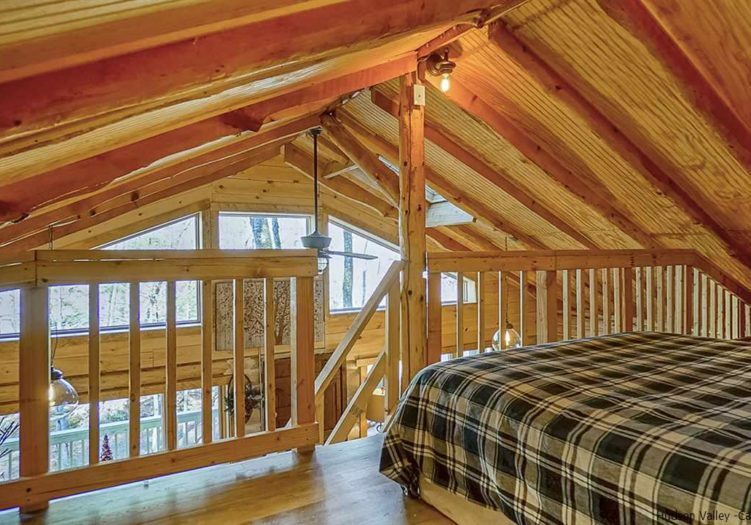 It is rented as an AirBnB just about every weekend of the year. 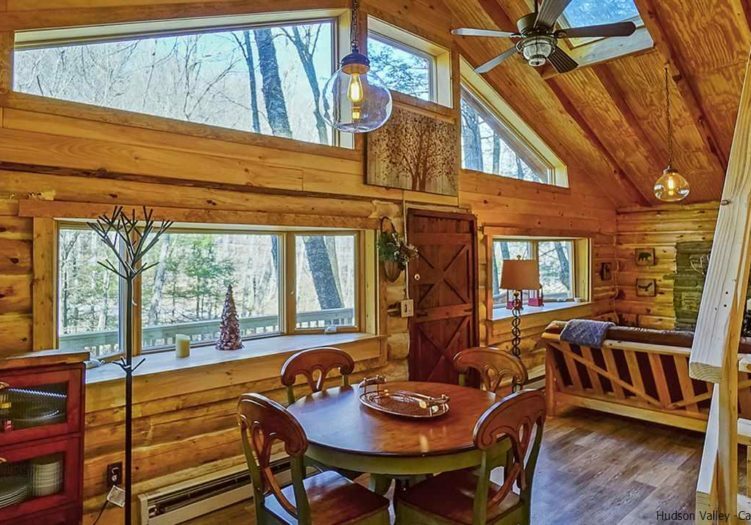 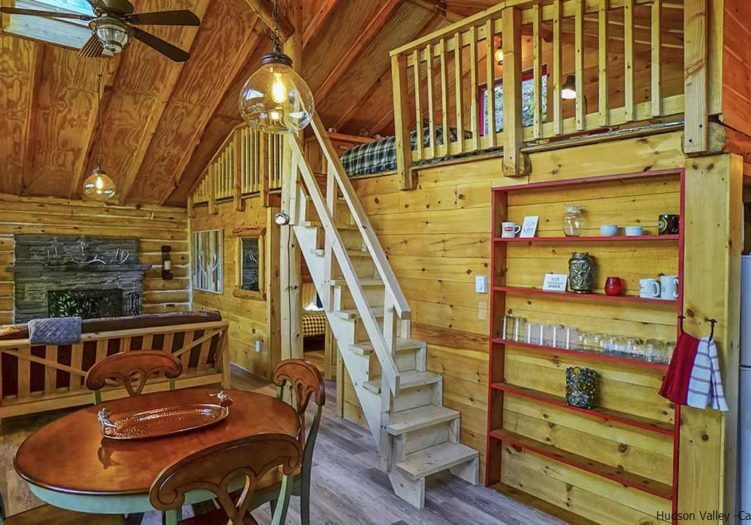 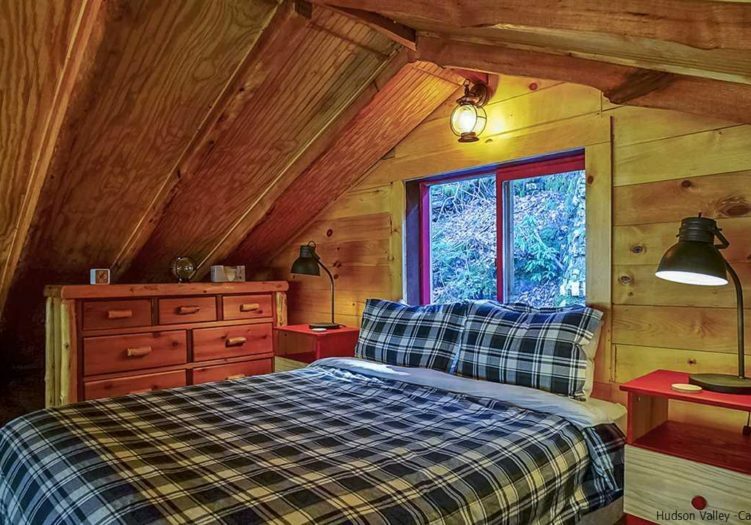 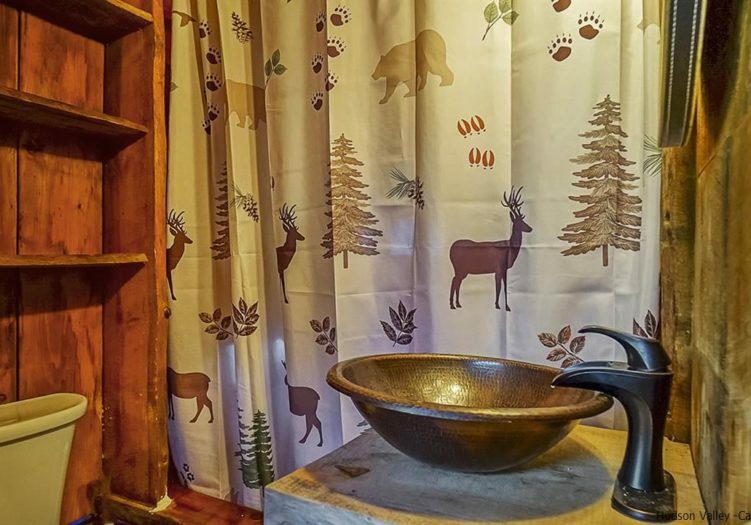 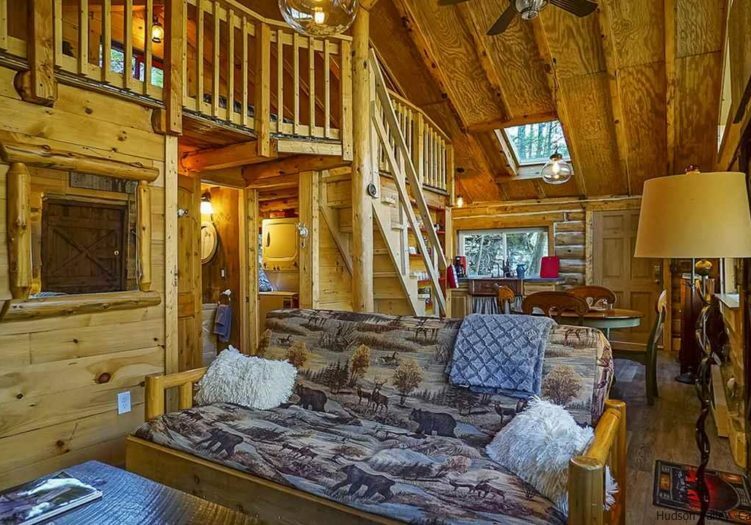 Cabin currently rents for $250 nightly for AirBnB visitors.